If my EW count is correct for A wave of correction (consist of 5) then its possible to expect at least sadow of candle reach 47xx area for 1:1 extension of Wave C. (so wave 5 will be again the longest).... This will be very interresting to watch and trade :) (If you trade BTC, I Focus on retracement projected to AltCoins). Where did Bitcoin's bulls go? 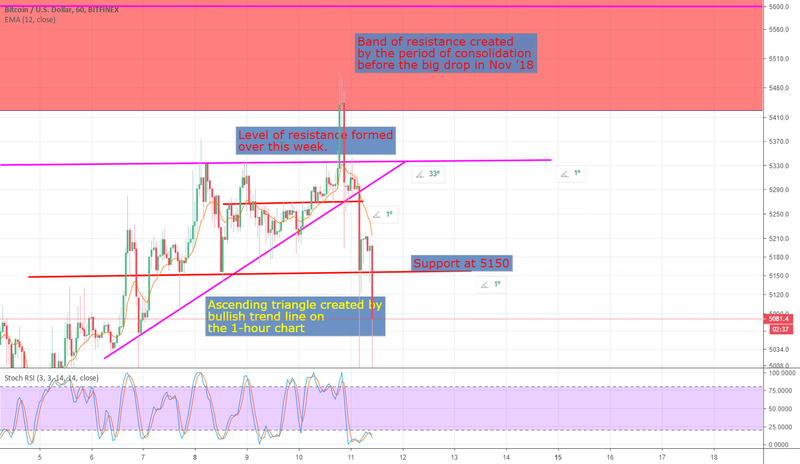 An ascending triangle on the 1-hour chart indicated a big move this week looks like the resistance band was too strong and big correction happening right now!